If you are missing the game day forms or rosters you will NOT be able to play the game (in this case, pay the ref and play a friendly). If you are missing your coach’s card, you will NOT be able to coach the game. If you are missing a player card, that player will NOT be allowed to play. 20+ rosters (you are responsible for generating your own rosters this is done through the “Kyck” system and is then sent to the league for watermarking – there are separate instructions for this). Each team is responsible for printing and laminating their player cards (there are separate instructions for this, but it is done through the “Kyck” system). A medical kit with ice packs (medical kits will be handed out to new U8 coaches by MSC). Pay the center referee in cash;; this will be reimbursed to you at the end of the season. If it is a home game, bring 2 properly inflated game balls and flags (see additional info below on flags for turf fields). Note that U8’s play with a size 3, U10-U12 a size 4 and U13 and above with a size 5. You must clean the field BEFORE you leave. You are responsible for submitting the score if you a) win a game or b) tie a game when you are the home team. If you do not submit your score within 24 hours you will be fined by Northern Counties, this fine will be your team’s responsibility. To submit a score go tohttp://www.ncsanj.com, log in and click on “team game management” and “score entry”. Carolyn Muccio will assign each coach a Northern Counties login/password. Kit – we play our home games in Maroon jerseys/shorts and our away games in White jersey/shorts. However, you may choose what colors you want your team to wear for a given game. Make sure your players ALWAYS bring BOTH jerseys to all games. Check with the opposing coach (all info available on http://www.ncsanj.com along the top menu) if you want to make sure. It’s a good idea for you to reach out to your opposing coach regardless – contact information (email and phone) is available on the NCSA website. Communication – always let your parents know about the week ahead. The schedule is on the Northern Counties website. This should be done by you or your team’s admin and must include the address and time of each week’s game (and when you want your team to arrive, normally 30 minutes before kickoff). It’s also a good idea to let your parents know how the team and their children are doing weekly (try and be positive). In the event of cancelations, please quickly reach out to your team. Field or Stevens, flags are in a lock box marked MSC-RSA along the fence on Stevens. Again, the first game of the day collects them, the last returns them. For games played on Stevens, remember there is NO parking along the field – please remind opponents. Game Day Help/Field Issues – If you need help on game day, contact Carolyn (201-280- 1494) or Paul Boogaert (Boogaert@gmail.com 201-724-5474). To report a problem with a field, goals, lights, weights etc email Eric Seifert (skipcox@hotmail.com). Ref No-Show – Very occasionally a Referee will not show to a game, or turn up late. Do NOT call club or league reps. Refs are independent contractors;; we are unable to contact them on your behalf. If there was a last minute field change, drive to the original field and make sure the Ref(s) aren’t there waiting. If the ref does not show up 15 minutes after start time, play the game with volunteer refs and submit score as normal. If your opponent refuses, the game will be postponed. Litter – Always leave the field cleaner than it was before you got there. Teams are responsible for cleaning up after every game. Players playing up – If you find yourself short players, you may bring players to play up from any team below yours in your age group or any team from the age group below (for example a U10 B team may use a player from U10 C and D and any U9 or U8 player, but may not use a U10 A team player or a player from a different team in the same flight). You will need to electronically update the game day form by adding players to it on the NCSA website, if you are not able to bring this to the game, you may write in the players, but you must update the game day form online within 24 hours. You must PHYSICALLY have these players’ passes in order for them to pay. Press – If you want your game report to be in the local news email Paul Boogaert (boogaert@gmail.com) for small-sided teams, please try and include all players. For special reports (for example, success at a tournament) you can also email the Ridgewood News Sports desk directly and include a picture. 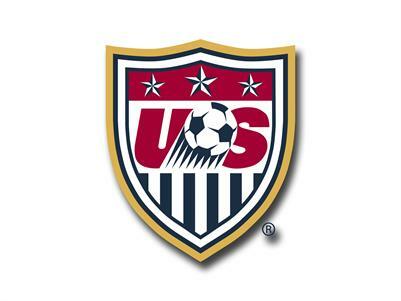 Rankings – Every coach and trainer must rank his or her team using the Player Assessment Document in the coaches section on the Maroons website (www.maroonssoccer.com) – no exceptions. These rankings will be shared with your age group’s tryout coordinator and the other coaches/trainers in your age group ahead of tryouts. At the U8-U10 age group you must rotate players through every position and provide EQUAL playing time (the only exception being Keeper). No child should see less than 30 minutes playing time in any game. To help you achieve this there is an app called soccer dad, we can also provide a spreadsheet you can use. The app can tell you when to sub and will keep full stats for the whole season.